﻿ Best Western Orlando East Inn and Suites, Orlando (FL) | FROM $68 - SAVE ON AGODA! "Good mattress, pleasant staff, and a good breakfast buffet w..."
Have a question for Best Western Orlando East Inn and Suites? Conveniently located in Orlando (FL), Best Western Orlando East Inn and Suites is a great base from which to explore this vibrant city. From here, guests can enjoy easy access to all that the lively city has to offer. A well-kempt environment and its proximity to City Hall, Consulate of Argentina, British Consulate give to this hotel a special charm. 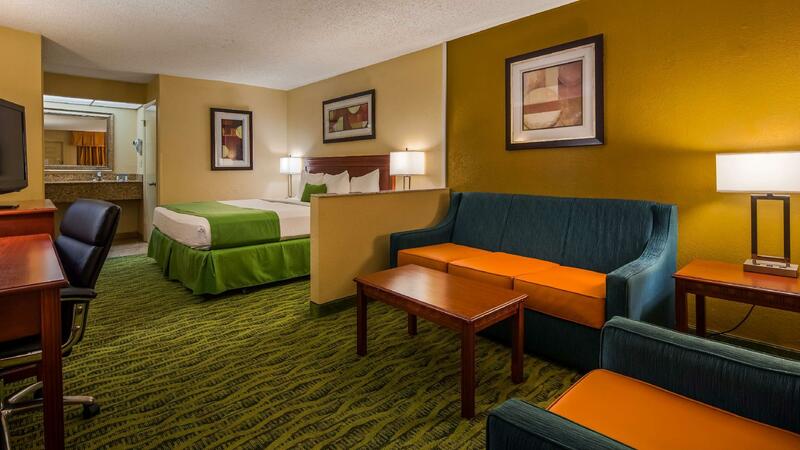 At Best Western Orlando East Inn and Suites, every effort is made to make guests feel comfortable. To do so, the hotel provides the best in services and amenities. 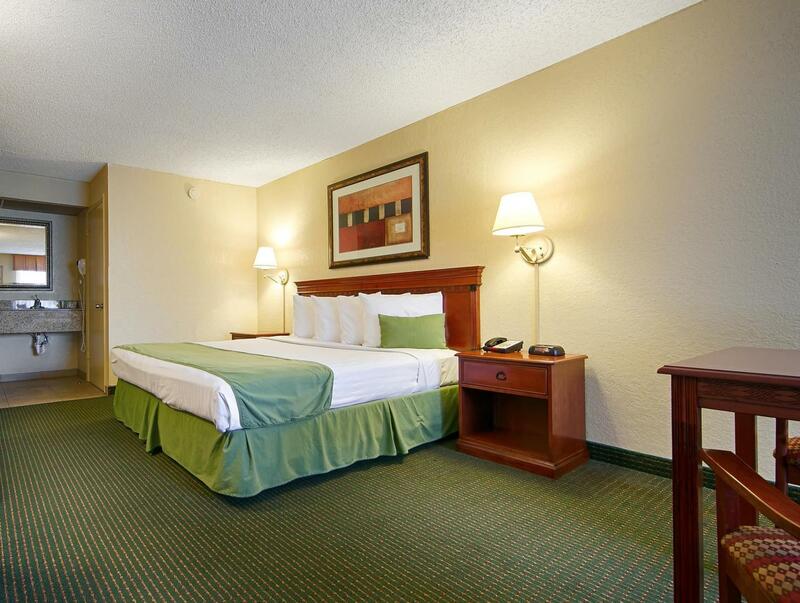 24-hour front desk, facilities for disabled guests, express check-in/check-out, luggage storage, Wi-Fi in public areas are just a few of the facilities that set Best Western Orlando East Inn and Suites apart from other hotels in the city. Guests can choose from 118 rooms, all of which exude an atmosphere of total peace and harmony. The hotel's hot tub, fitness center, outdoor pool are ideal places to relax and unwind after a busy day. 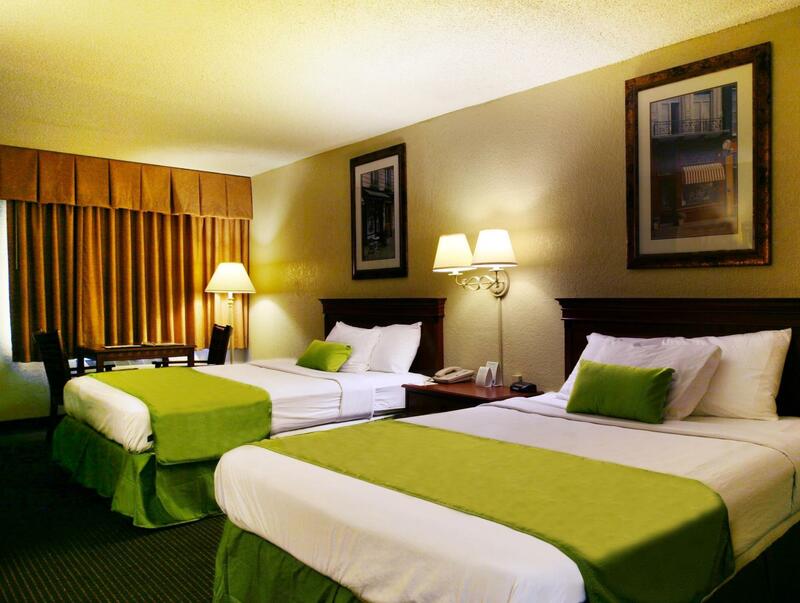 Best Western Orlando East Inn and Suites is your one-stop destination for quality hotel accommodations in Orlando (FL). Very good for the price, we choose it because of price and location 7 minutes for the event we went. Then 20 minutes from universal. We found a simple room, spacious and clean, with a refrigerator (no microwave) and coffee maker. I still find it hard to believe that a basic room is closer to $100 per night than $50, but we were fine with the basics. Good mattress, pleasant staff, and a good breakfast buffet with several staff maintaining supplies and cleanliness. Very noisy, slamming doors all night long. Front desk asked if I wanted 2 clean beds, seriously you rent out dirty rooms? Won't be back. Whole reason to get a hotel is to have some place to sleep, did not sleep here. Ball of dog hair in the bathroom when I checked in and the window didn't lock, very insecure. Hotel was just fine but Agoda showed that it's in donwtown..and walked there and just a huge construction area was there. About 5 miles away from the city we finally found it.